The Audi SQ2 is celebrating its world premiere at the 2018 Paris Motor Show. The hotter 'S' variant sports a more aggressive styling and a new powerful engine for those seeking a more dynamic Audi Q2. The Audi SQ2 features sporty exteriors, larger alloy wheels, and all-black leather & Alcantara interiors. 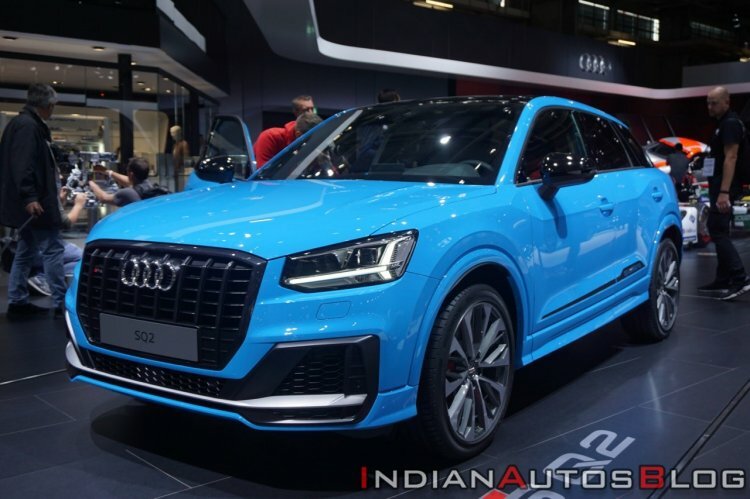 On the exterior front, the Audi SQ2 receives a blacked-out sharp front grille with the SQ2 badge on it, sporty front bumper with a large front splitter, rear spoiler, quad exhaust pipes and an option of 18- or 19-inch alloy wheels. The SQ2 is available in 9 colour options - Ibis White, Vegas Yellow, Daytona Grey, Ara Blue, Floret Silver, Coral Orange, Glacier White, Mythos Black, Tango Red and Quantum Grey. The Audi SQ2 sports the 2.0-litre TFSI motor that puts out 300 PS and 400 Nm of torque. This turbocharged four-cylinder mill is paired with a 7-speed dual-clutch automatic transmission. The quattro all-wheel drive system is standard, and it can send up to 100% of torque to the rear wheels. The Audi SQ2 can sprint from 0-100 km/h in just 4.8 seconds before hitting an electronically limited top speed of 250 km/h. It sits 20 mm lower as compared to the regular model. Staying true to the S-moniker, it features sporty interiors with all-black headliner, leather/Alcantara seats and flat-bottom steering wheel. The Audi SQ2 has an electronically limited top speed of 250 km/h. 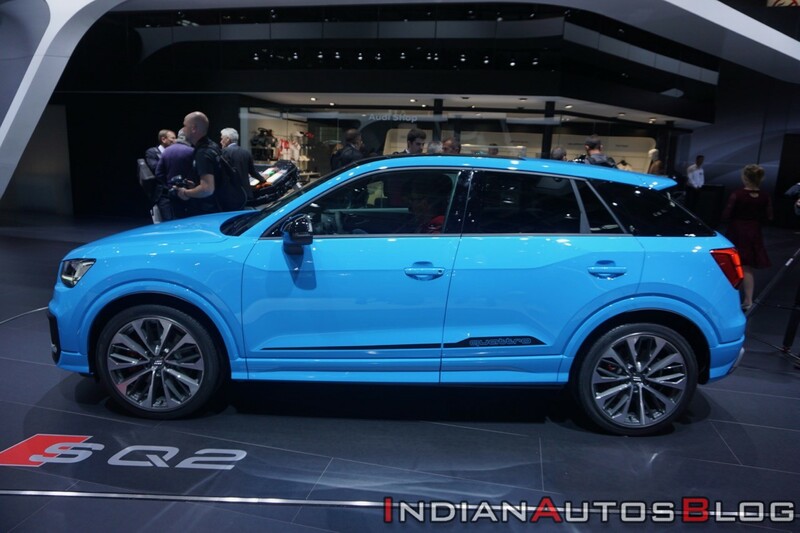 Audi hasn’t revealed the prices of the SQ2 for the global markets, neither has it disclosed the India launch plans of the SUV. A full-blown RS variant could follow later during the lifecycle. India is yet to get even the standard variant, but that could happen sooner than planned, now that the government has relaxed the import norms.